Bucardo’s nostalgic design is sleek, stylish, and sentimental. Our favorite thing about Bucardo is their passion for ingenuity in today’s tech world. The brand Bucardo was inspired by the story of the Bucardo mountain goat, the first animal to be brought back from extinction. Honestly, I can’t remember seeing someone casually wearing a pocket watch since…well ever. Except for old movies and television shows, today pocket watches have been relegated to the background of mainstream fashion and tech. It’s clear Bucardo has upheld their values through vintage style and tech by creating new ways to experience modern technology in your day to day life. Now it’s cool for you and grandad to match. 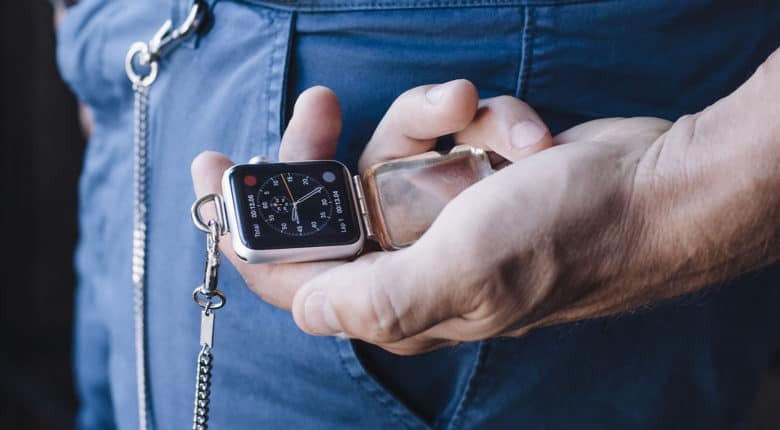 This pocket watch invites you to do more with your Apple Watch, allowing it to become much more than a fashion accessory. 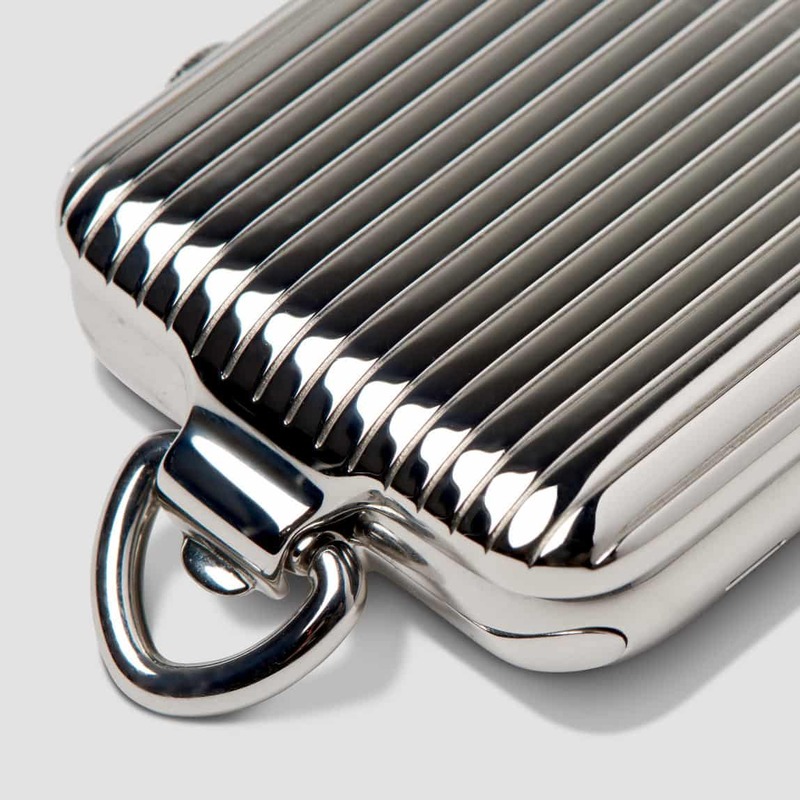 This statement piece straddles the line between classic throwback and future fashion. The stainless steel pocket watch itself shines brilliantly while the pinstripe design adds flare and attitude without being too flashy. 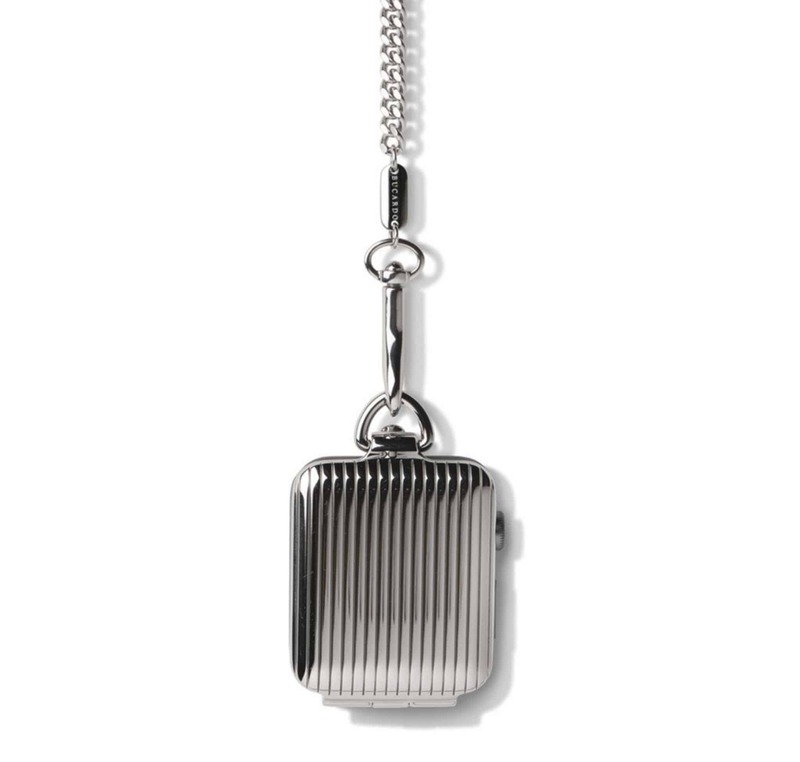 Suspended from the 15-inch adjustable metal chain, the face glistens, making your Apple Watch striking. This is a piece you could pair with a sharp, smart look or even something cool and casual. Align the cutout for the watch dial on the pocket watch cover to the Apple Watch. Slide in your Apple Watch. Bucardo’s Silver Pinstripe Pocket Watch is available in 38mm and 42mm Apple Watch sizes.